As much as English teachers love novels, I am beginning to see a decline in how many novels students read each year in the classroom. This post is in no way an argument against the novel. I always look forward to starting and teaching a novel unit to my students. However, to really do a novel justice, it takes time, energy, and a lot of love. Since novels tend to eat up a lot of instructional time, I typically begin each year with a short story unit. Short stories are valuable to middle school and high school English teachers, as well as students. 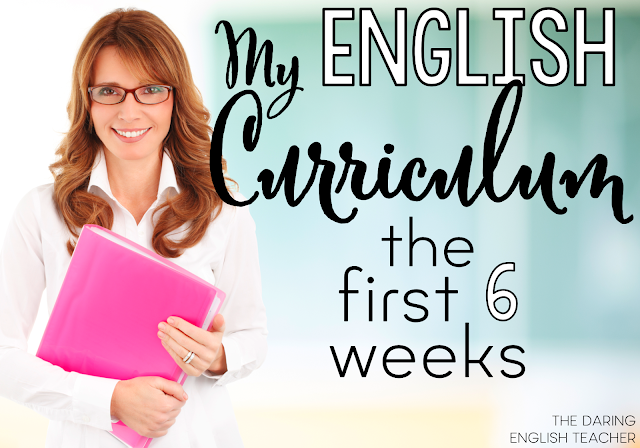 When students come back to the classroom after ten weeks of summer break, there is an adjustment period that separates the carefree days of summer and the rigorous demands of school. 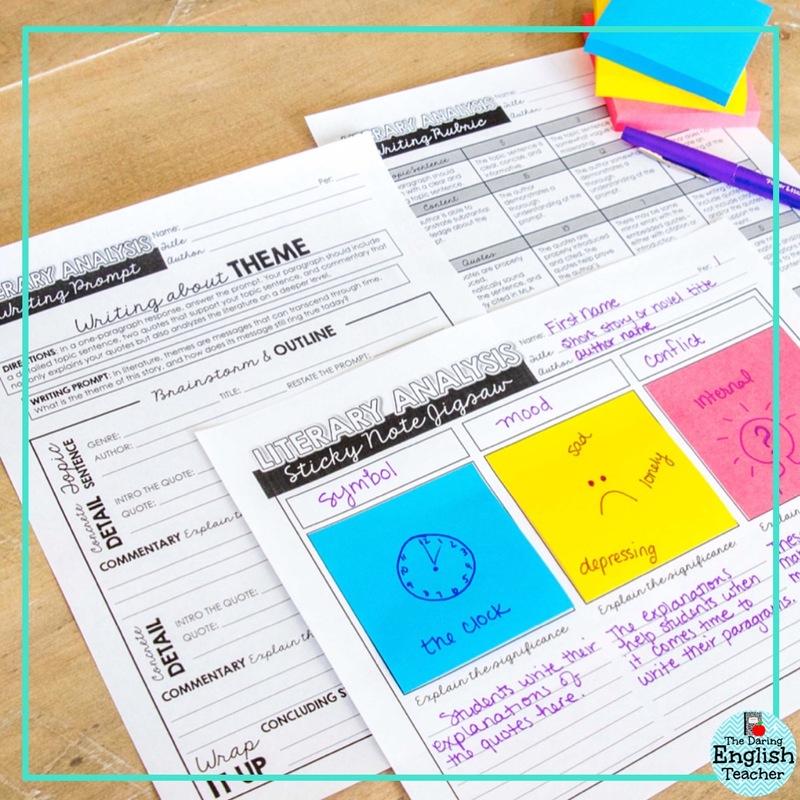 Rather than having students dive right into a novel like Great Expectations or Wuthering Heights, start them off with a short story unit to re-engage their brains. Here are some other reasons short stories are great segues from summer to school. 1. Keep students engagedUnfortunately, not all students are avid readers like we hope they are. Some will get bored and defeated by trying to read a novel at the start of the school year. Unless you plan on starting with something simple to get them started, a short story will be more entertaining due to the faster pace of the short story medium. My Sticky Note Literary Analysis Unit is a great way to keep students engaged as you read short stories at the beginning of the year. This again has to do with the natural fast-pace of short stories. Short stories demonstrate the literary devices you want students to identify in a shorter amount of time than compared to reading a novel. Through this, you can have them identify rising action, climax, resolution, and various other moments in the short story. It will help them to recognize these moments in the longer novels later. 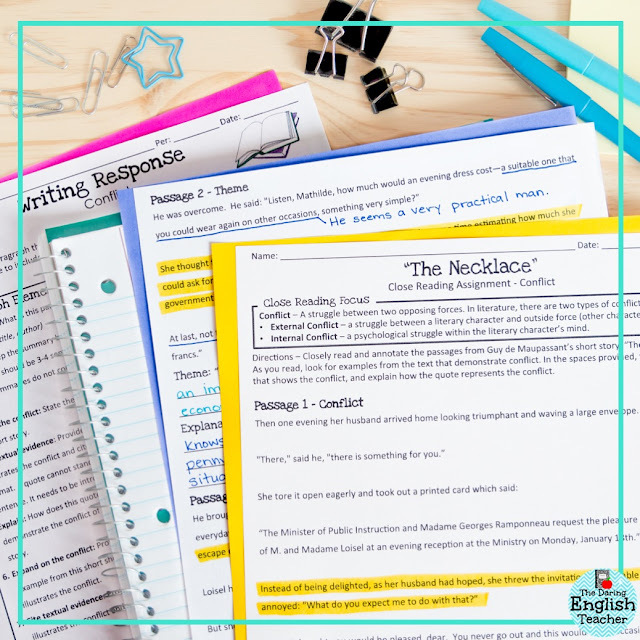 My Close Reading units for short stories is a great way to focus on literary devices because I’ve selected key passages from each story that really highlights an element. Short stories have a much harder time developing characters because of their constricted time frame. The best ones can give you a character to care about that changes during the story despite the limited page numbers. One of my favorite short stories for this is The Seventh Man by Haruki Murakami. In just a few pages, you begin to understand the protagonist's life-long internal conflict, and the audience sympathizes with him greatly. My Growth Mindset Character Analysis packet is a great tool in helping students see how characters grow in just a short time. 4. Save instructional time As stated many times above, the short story does not take nearly as long to read or to analyze as a novel does. You can thoroughly read, analyze, and write about one short story in a week. Any short story you choose to analyze with your class will not detract from your overall lesson plan. In fact, they can enhance your classroom. Typically, I like to choose one or two literary elements to focus on when reading each short story. My Short Story Teaching Unit will get you started with your short story unit. 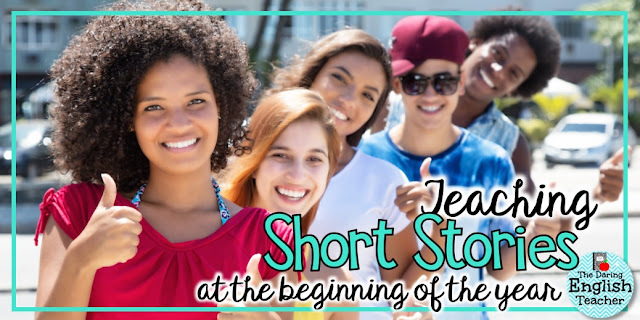 Starting the school year with short stories is the perfect way to reintroduce students to the rigorous demands of school. When selecting short stories for your unit, think about including a diverse mix of authors so that your students can widen their worldview and hopefully even relate to some of the characters in which you read.